AFA is the world's largest and most respected Introduction and Tour service. Founded in early 1995, we were the first on-line Introduction and Tour Company, and have since grown to be the industry leader. 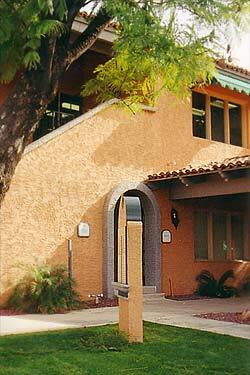 Our corporate headquarters are located in Phoenix, Arizona. We own and operate offices in all of the cities in which we conduct our world famous Romance Tours, with over 70 employees worldwide. The doors to all of our offices are always open, and we invite you to visit with us whenever you wish. AFA is no stranger to the Media, garnering more Media attention than any other company in the industry. We have been featured on 60 minutes, Inside Edition, Men are from Mars Women are from Venus, TV.COM, The Maury Povich Show, The X-Show, as well as News Shows on all the major networks including; ABC, CBS, NBC, FOX, A&E, and the BBC. A sampling of the print media that have featured stories about AFA are; TIME Magazine, The Washington Post, The New York Times, Maximum, Penthouse, Marie Claire, Saturday Night Magazine, St. Petersburg Times, The Philadelphia Inquirer, The Arizona Republic, The Sacramento Bee, among many others. We have also been featured on numerous radio programs including Loveline, and the USA Radio Network. We sincerely believe that, after all is said and done, the most important factor in this service-orientated business is trust. The men and women who submit their names, addresses, and photos must trust us to display them properly. You, as the user, have to trust that the names and addresses you are receiving are current and from people who truly want to meet someone for a special relationship. We understand our responsibilities, and feel certain that we will gain your confidence as you use and become familiar with our system. If you ever have a problem with our system, employees, or any of the women or men you respond to PLEASE CALL US! We are totally committed to service, it is our number one priority, and we will do everything within our power to ensure you are satisfied! Owners John Adams & Ron Redburn, along with Chief Technical Officer Ken Agee and Sales Manager Bud Patterson, have all found and married Russian brides with the help of LoveMe.com/A Foreign Affair. They are living proof that not only does the process work but that a lifetime of happiness can start with a single email, phone call or AFA Romance Tour. Today AFA continues to lead the industry by offering more Romance Tours to more destinations than any other company in the world. If you have any questions or comments about our service please feel free to call us at (602) 553-8178. Again, we sincerely appreciate the fact that you have considered using our service. THIS PROGRAM IS THE SOLE PROPERTY OF AFA AND MAY NOT BE COPIED IN ANY WAY OR FORM WITHOUT EXPRESS PERMISSION FROM AFA.